We rarely write traditional paper letters to friends living abroad. Often correspond with via e-mail, even the pictures conveyed over Internet networks. However, sometimes you want to feel the power of the person, to see his handwriting. And if you wait for an answer, the anticipation of reading is wonderful. Open your mailbox and there is bills and advertising mail! It is still in the memory will remain. By the way, to send such a letter abroad is a snap. A sheet of paper, pen, envelope, stamps. Prepare for sending a letter, photographs, Newspapers, maps and more that must be delivered to the addressee. Find out the exact address and be sure to record the index. Go to the nearest branch of mail of Russia. Show the size of the forwarded papers. Get an envelope of appropriate size. Write on the envelope ' and the indexes of the receiver and the sender. According to the rules for international mail sent over the border from Russia, the address is written in Latin letters and Arabic numerals. The order adopted is this: first comes the name of the addressee (surname, name). Then the room of the apartment, house and street name. The next line – the name of the city and state (or province). And in the end written country and postal code. Enclose in envelope all sent away. Reseal the envelope. Find out exactly which window of the post office to send mails abroad. Explain to the postal worker where you need to send a letter. Purchase the required number of stamps for the envelope. Stick them on the envelope, or leave it to make the postal service. Ask them to weigh a sealed envelope, if the tiles with the text you are sending any attachments. If the shipping weight exceeds the norm established for ordinary letter (20g), please purchase additional stamps, depending on the exceedance. Stick them on the envelope. Drop letter into mailbox for the foreign correspondence or give it to the postal worker – he'll send himself. Not send a simple letter, and custom or customized notice. The last well that when the envelope gets to destination, you have to mail notify. However, modern means of communication allow you to learn about email in a different way, for example by telephone directly from the recipient. Send the letter through special sites-intermediaries, if you do not want to visit the post office. Send typed on the computer the text and pay service. However, this letter differs little from e, its cost is slightly higher mailing in the result nothing is guaranteed. Send your message through Express delivery services. The letter will come quickly or in exactly the specified time. But the shipment is much more expensive than all other options. Unpaid or not fully paid letters dropped into mailboxes, the appointment is not forwarded. The postal service returns them without blanking stamps to the sender for the full payment. 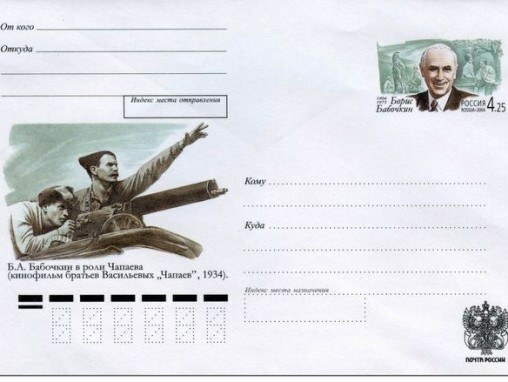 If the return address on the envelope no international mail is passed among nerozhdennyh. Rates for all postage on mail of Russia.